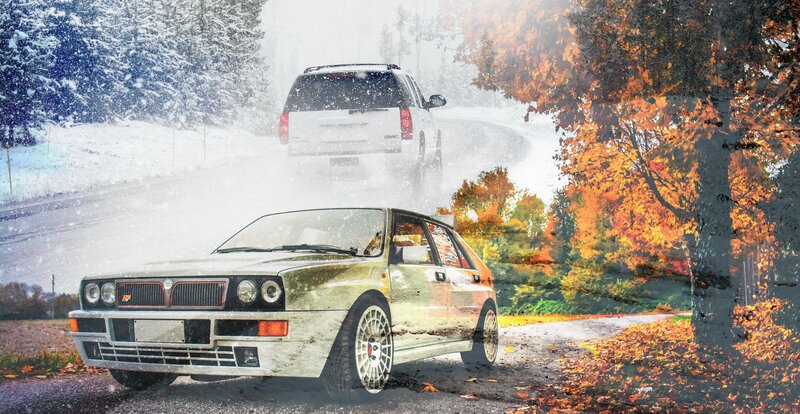 With the Winter months looming upon us, Autumn is now the time to treat your vehicle to some TLC. There’s nothing worse than waking up on a pitch dark Monday morning, only to find you’ve got ready for work whilst half asleep, and then finding out your battery is as flat as a pancake. With icy country lanes, heavy snow, salted roads and below freezing temperatures, nobody loves to get stuck; or should we say slip? 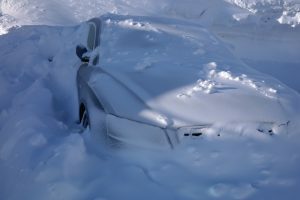 We’ve listed some top tips to help you get by those winter months of car ownership. Think of it this way, your vehicles lights are effectively your eyes on the roads at night. When those nights begin closing in and the clocks change, don’t you find it surprising just how many cars you see with only one headlight working? Would you feel comfortable driving with only one eye open at night? Top quality headlight bulbs go a long way into making a big difference. 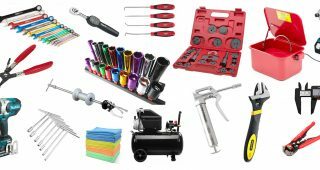 Here at Driven 2 Automotive we offer a wide range of replacement car bulbs, from performance and styling to long life LED’s. 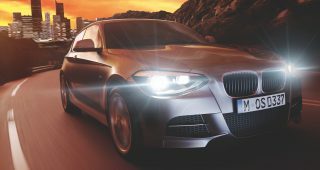 Once again the most popular halogen and HID headlight bulbs this year have been the OSRAM Night Breaker Unlimited range, of which the HID Xenon version won the Auto Express Best Buy award. We always recommend changing bulbs in pairs, information on why is in this article. If your vehicles fitted with halogen bulbs then we don’t recommend using blue coated styling bulbs in the winter, this is because the coating reduces the lumen output (brightness). You could however try OSRAM’s new Cool Blue BOOST bulbs which have an increased wattage to help counteract this problem, however they’re unfortunately not ECE approved, therefore not road legal. On the subject of lighting, if your headlight lenses look to be in a faded, poor state, then lens restoration kits can help bring back headlights to look like new, thus increasing lens transparency and overall brightness. They work by using a special rubbing compound and various grades of ultra high grit wet-and-dry paper. Of course it also means a lot of elbow grease, however the result is the perfect solution to fixing yellow looking, UV damaged lenses. Don’t forget to also keep your number plates clean, as nobody wants a wait for it….£1000 fine. YES £1000 for an unreadable number plate in the UK, you might as well check the bulbs are working whilst you’re at it. 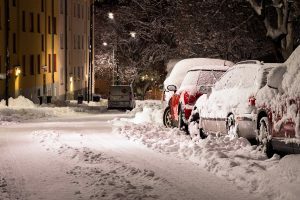 According to statistics, a lead acid battery capacity drops by about 20% during freezing weather, and surprisingly drops all the way down to 50% capacity when temperatures decrease to about -30°C. Of course that kind of temperature is very rare in the UK, with the lowest temperature ever recorded at -27.2°C in 1995. To the contrary though, high temperatures can actually increase the capacity by 12% at 50°C, compared to it’s normal capacity at 25°C which is because of the increase in chemical reactions. 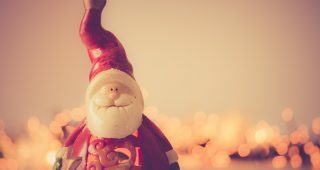 Due to this factor, a battery with an invisibly poor but still useable state during Autumn may simply not be adequate enough for those winter months. 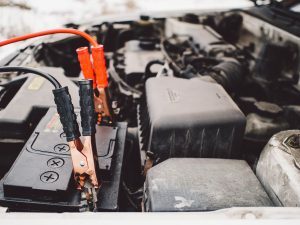 Batteries tend to last around 4/5 years so before winter sets in, we recommend performing a battery test with a multimeter, read our article on how to do this here. Cold starts may require a healthy battery, however it also requires effective performance from the spark plugs. Reliability is vital for drivers, however fuel economy and efficiency is becoming increasingly important. 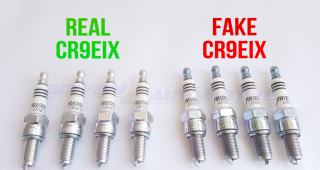 According to the National Institute for Automotive Service Excellence, degrading spark plugs can cost drivers up to £0.80p per 4.5 litres with today’s prices. Signs of needing to replace spark plugs can be an increase in fuel consumption, misfires with engine shake and also slow starting. 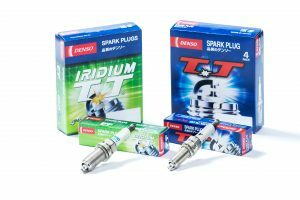 We recommend Denso Iridium TT spark plugs or NGK Iridium IX, which are both are available in our shop. 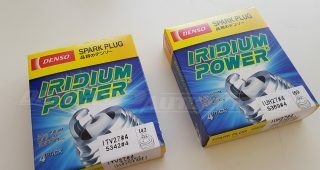 Not heard of Denso’s new Iridium TT plugs? Then check this post out. 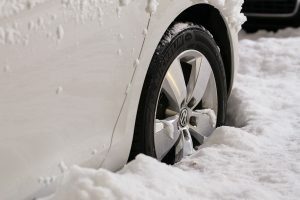 Although many of us stick to all season tyres to try and save money in the long run, winter tyres are specially designed to be more capable of handling the colder temperatures. The tyre structure stays far more flexible in freezing conditions instead of becoming firmer which means improved traction and handling. If you live in the middle of nowhere where conditions stay worse for longer, it makes sense to swap to winter tyres. Elsewhere however, justifying the costs may be more difficult. It comes down to personal factors such as; how much you have to drive in bad conditions and your confidence in bad weather. 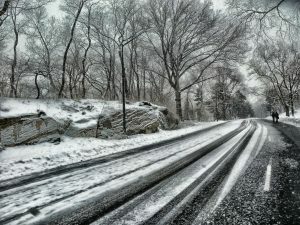 Even if you have 4-wheel-drive, it’s no good if you can’t brake or turn well in icy conditions. 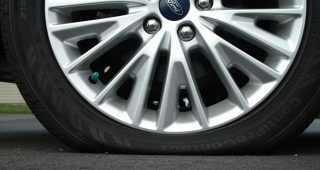 After the initial outlay of purchasing a set of winter tyres which will last a good few winters, a local trip to the tyre fitter could mean far better winter grip for around £40 in fitting. Some suppliers sell winter tyres on steel wheels ready to fit to the car, the perk is that steel wheels are far cheaper than alloys and it doesn’t matter if they get damaged so much in the winter. It’s important not to forget tyre pressures & tread depth. As temperatures get colder, tyres can lose up to 1psi per 10°C of temperature drop. Improper air pressures can cause uneven tyre wear and a loss of control. The basic rule is to try and check your car tyres every week, especially if you’re doing high mileage. For winter driving, a minimum of 3mm tread depth is recommended. Prior to starting the engine in sub-zero temperatures, leave the ignition on for around 5 seconds. This allows the fuel pumps to pressurise the system and the ECU to perform a diagnostic check among many other processes. All of these pre-start electrical procedures use up battery power so it’s important not to overstress the battery by attempting to start the engine from cold at the same time. We also recommend pressing the clutch in before starting the engine, this way the battery and starter motor are not stressed from rotating the gearbox shafts in thick, cold oil which causes resistance. On some vehicles this is a built-in feature: 1) for the reason above and 2) for safety in-case the car is left in gear. Once started release the clutch pedal slowly. Do not subject a cold engine to heavy loads immediately, the chances are though that you’re going to be warming up the car first anyway whilst de-icing the windows! Winter is the worst time to run out of washer fluid, a good piece of advise is to always carry a pre-mixed bottle in the boot for emergency use. Consequently check your wipers by running your finger down the blades to check for cracks and tears and replace if need be. 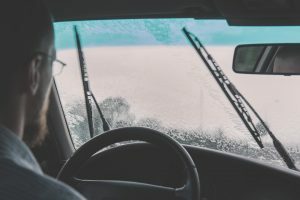 Always make sure your wipers are at their resting (off) position before turning the engine off, this can stop fuses blowing in-case your wipers freeze to the windscreen overnight. Chips can also grow to large cracks in cold weather very quickly, so it’s best to get them repaired as soon as possible. Give your windscreen a thorough clean inside and out as this helps reduce glare at night. It might sound odd, but turning the air conditioning on can help demist windscreens much faster than without using it. Nobody wants frozen coolant in their engine and radiator, be sure to check whether your coolant level is correct. We recommend a 50/50 mix of anti-freeze to water for the winter. Did you know that anti-freeze can actually help stop a car overheating in the summer as it has a higher boiling point than water does? During winter, damp can begin to cause that horrid, mildew type smell. Give your interior a good clean and also check the spare wheel bay as this is an often overlooked area that’s prone for damp mould to build up in, we also recommend replacing the pollen filter (a.k.a cabin filter) to provide fresh-filtered air. Never drive through flood water! Allow extra time for winter journeys. In-case of unexpected delay, keep at least 1/4 tank of fuel in the car. Plan routes to favour big roads, which are more likely to be cleared and gritted.